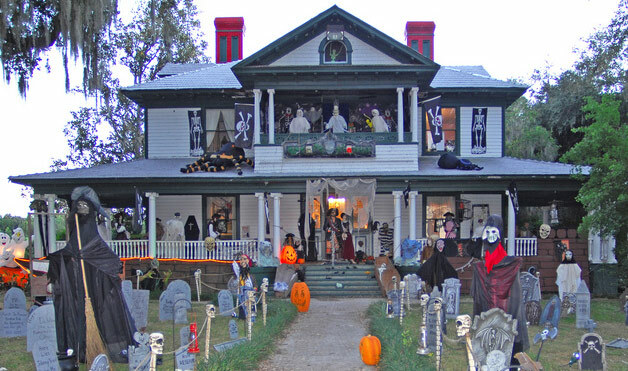 We're not saying you have to go all out like these folks did; even a few plastic spiders and a fake cobweb or two strewn around your surroundings will help you get into the Halloween spirit. It can be messy and tedious, but this is just something you have to do this time of year, right?! 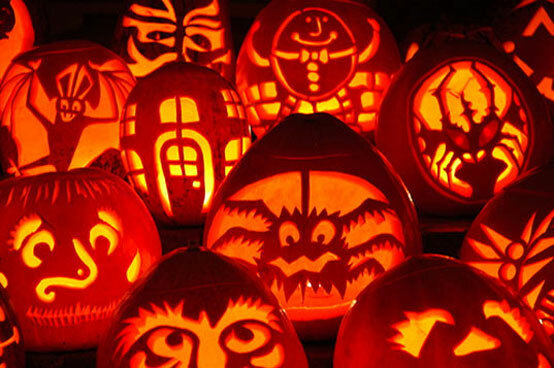 Even if you don't have any amazing plans for Halloween, it's still fun to dress up. The more creative and meticulously put-together your costume (read: the little Cruella on the left), the better! Yummy, seasonally appropriate, and (somewhat) healthy, caramel apples are the perfect autumn snack. Raking leaves can be a bit of a chore, but it can be a pleasant way of getting in your exercise for the day out in the fresh, crisp autumn air. 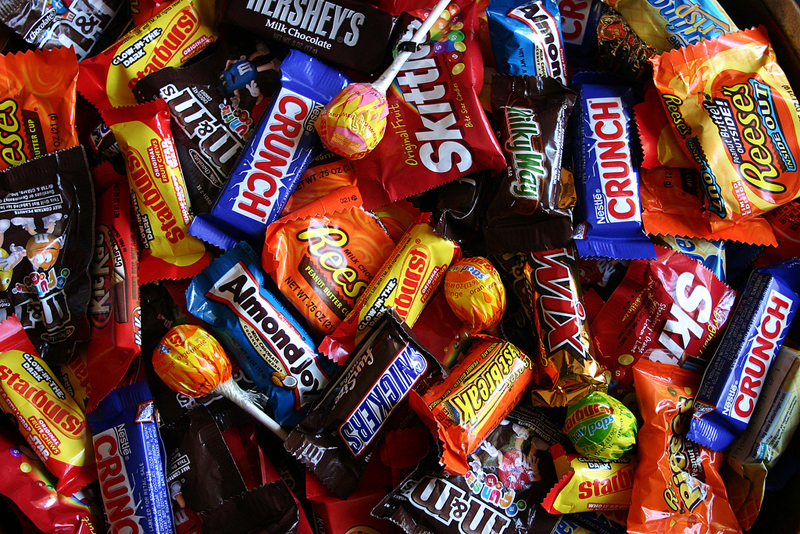 There is something so special and nostalgic about Halloween candy - it instantly brings back memories of trick-or-treating and the sorting, categorising and trading of sweets that followed. (FYI, those blue Nestle Crunch bars were at the very bottom of our candy hierarchy; they were just too common and bland. At the top? Vic loved Oh Henry bars while Ali favoured Tootsie Rolls...and as for those mini bags of Cheetos? Pure gold). Scary movies might not be everyone's cup of tea, but we love love love them! If you do too, this is the perfect time of year to dim the lights, break out the popcorn and blankets, and snuggle up on the couch for a scary movie marathon! 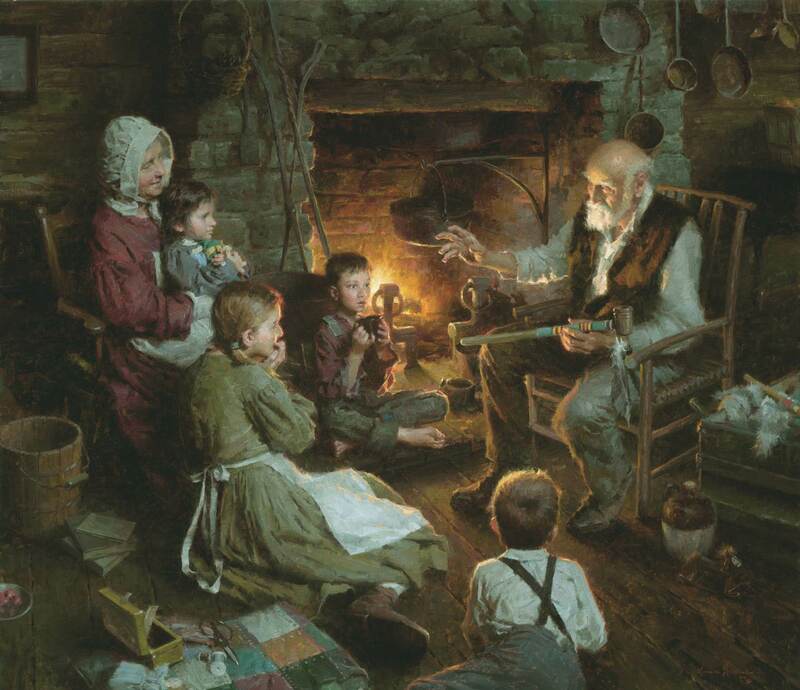 There is something so thrilling yet cosy about telling ghost stories. Pretty much everyone has either had some sort of creepy personal experience, or has the old friend-of-a-friend tale, so gather round (preferably by a roaring fire) and tell those stories! In our humble opinion, autumn is the most visually stunning season, and what better way to enjoy it than by going on a nature walk in your vicinity? Happy Birthday, Claudia Louise Susan Sunniva!!!! !